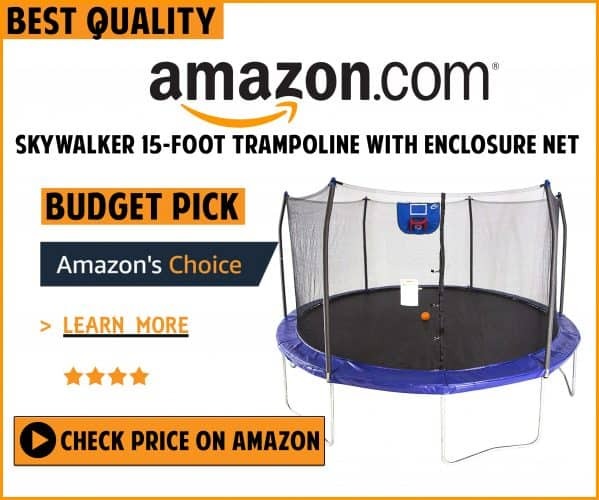 Round Trampoline Or Rectangular Trampoline - Which one to choose? 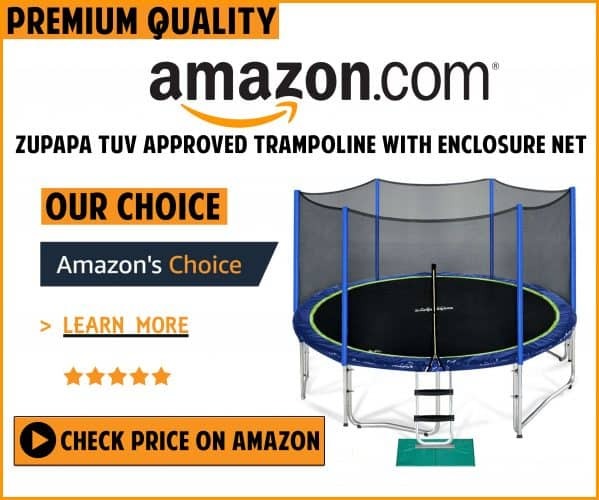 Round Trampoline Or Rectangular Trampoline – Which one to choose? Although modern trampolines are available in various shapes, round trampoline and rectangular trampoline are the most popular choices. Most of the people choose either of the design according to their varied purposes. But apart from the overall appearance, there are various other aspects also that contribute in the major differences between the two. You may now have your thoughts revolving around which trampoline should I buy- round or rectangle? So, here we have tried to round up an easy answer for which is better- round or rectangular? Along with safety and shape, we have compiled all the major aspects in which these trampolines vary. These differences can also impact the overall jumping experience of the user. The choice of the shape is one of the most difficult and confusing things when it comes to buying a trampoline especially for the first time-buyers. This detailed breakdown of the significant differences will unquestionably help you make your decision easily. 1 Round Trampoline Or Rectangular Trampoline? Round Trampoline Or Rectangular Trampoline? Weight limitation of the rectangular trampoline is the highest for all its sizes. Even when the round trampoline are more popular and come in various sizes from small to big, their weight capacity is considerably lower. The highest weight capacity of the rectangle trampoline is because of its professional use. These big-sized trampolines are more commonly bought by people who are involved in high-end athletic or gymnastic activities. Round trampoline on the other hand have sufficient weight capacity that makes them ideal for home use. So, if you are eyeing for an outdoor trampoline for your family, you can consider buying a round one. The biggest round trampoline can feature the maximum weight capacity of up to 400 pounds. Because rectangular trampolines are intended for professional use, they are more capable in providing bigger bounces. As when compared to the round trampolines, these rectangular ones can absorb landing force more efficiently. That is why these trampolines are widely used by people involved in professional sports. However, round trampolines are more favorable for home use because they always tend to redirect the jumper to the center of the jumping bed. So, if your untrained kids use the round trampolines, you can rest assure of their safe landing back to the center with each bounce. Professionals like athletes or gymnasts will always choose rectangular trampolines so that they can impressively perform high-end tricks and flips. The large surface area of this trampoline allows them even and predictable bounce. Round trampolines are considered picture-perfect for recreational and fun uses. This is why they are mostly preferred for home use by families. They are not meant for high-end application which mavens usually carry out on rectangular trampolines. The reduced spring size and less force make round trampolines ideal for your small kids because of their high safety standards. But if you have an aspiring athlete growing in your family, you can buy them these rectangular ones for heavy-duty use. They will provide high altitudes and more forceful bounce. They are efficient in absorbing harsh impacts of the heavy landing. So, to find out which is better- round or rectangular, pre-consider your use and then decide the shape you will buy. Round trampoline are a safer option than rectangular shaped-trampoline because of their center-oriented bounce. Rectangular trampolines give total freedom to the user to decide where he wants to jump. This choice of deciding landing position can bring risk too because it encourages the user to execute deadlock tricks and high-end flips. But because professionals are well-trained to use this direction-free jumping surface, they can use rectangular trampolines seamlessly. Round trampolines will always direct the jumper back to the center which restricts the movement and landing position. This is really nice for small and growing kids. The lower bounce provided by the round trampoline is good for protecting the user from potential injuries. Price of the trampoline is influenced by various factors like shape, size, brand and material of construction. Quality comes at a great price and is highly crucial too. Generally, round trampolines are less expensive as when compared to the rectangular ones. Circular shape needs less support because it has enough innate strength. The ease of manufacture also reduces the cost of round trampolines significantly. Rectangular trampolines are not very common for home use and feature a high-end built that increases there price considerably. So, if you are going to gift a trampoline to your kids, buy them a round trampoline for all the impressive benefits they have. Now when you know which is better- round trampoline or rectangular trampoline? You can make a great choice that will make you happy and will give you the much needed peace of mind.